Brandee Sweesy, Google Hangouts and Youtube marketing expert discusses how to set up YT ads, how to test your ads and set your budget, how to best monetize youtube advertising, tools and suggestions for optimizing your ads for better results, compliancy recommendations and much more. Video marketing is HUGE and showing no signs of slowing down – especially with amazing opportunities presented with YouTube Advertising, allowing you to drive cheap traffic and boost your sales. Have you just started a new YouTube channel and you’d like to boost your sales with video ads but don’t know where to start? You’ve landed in the perfect spot to get those questions answered because this new 7 Figure Furnace episode explores the world of YouTube advertising and all the amazing things they help entrepreneurs achieve. 7 Figure Furnace is a relatively new online marketing podcast, designed to help marketers and business owners navigate the uncharted waters of traffic generation, content marketing, PPC advertising, and everything else one must master to make it in today’s entrepreneurial landscape. For this episode, I interview the Hangouts Marketing Expert – the fabulous Brandee Sweesy. She had great tips to share on budgeting and testing your YouTube ads campaigns, how to use the generated traffic, what are the biggest mistakes you could make, and so much more. If you’d love to know more about YouTube ads and how to leverage them to grow your business, but you’re about to walk out the door and can’t read this post, you can just listen to the whole interview and come back here for the links and notes later. Prefer to watch? Hit play on the video below. After 15 years in marketing and public relations, Brandee had her first Google Hangout 3 years ago, an event that marked her debut in online marketing. And even though she’s been in online marketing for less time than many of the names we associate with successful internet businesses, people feel like they’ve known her for way more years, because they see her face more often, because she appears in all her YouTube videos and Hangouts. This is just one of the benefits of using paid YouTube traffic – people recognize you more often, and they strongly associate you with your niche, you’re no longer a stranger but someone they know. Even if you’re not going to buy ad space on YouTube, you should still have a channel and upload your content there. With or without a media budget, YouTube can be great for selling physical products, promoting local businesses, generating app downloads, building authority in a niche, getting people to attend your personal development training sessions or retreats. YouTube ads are beneficial for most businesses, but they can really do wonders for local businesses because the advertising interface allows you to target specific areas, down to a zip code. YouTube ads charge you per view, not per click, and a view is only considered as such if the user clicks on your ad or sees up to 30 seconds or the entire ad. The highest cost Brandee had to pay per view was 17 cents, but most ads will cost less than that. She thinks you should know your pain threshold – how much can you spend and be alright with it without becoming risk averse. A $10-$20 USD per day budget should be enough to help you test out your ads and see what works for you and your business and what should receive a bigger investment. When you start testing ads, don’t stop after 3 days. You should take up to 30 days to really test and tweak and repeat the process to see the real potential of your YouTube ads, even if you’re only spending $10 USD/day. Using 4 ads and 2 landing pages – one static, one video – is a great way to test out what will work best for you. You’ll see if people are discouraged to stay on a static landing page because they were expecting to see a video or if they actually prefer the static page. You’ll also be able to test headlines. One thing that makes YouTube so ideal for marketers is the fact that you can actually place your ads in front of specific videos. So, in your research phase, which should be one on which you spend most of your time, you should look for monetized videos related to your topic so you could script your video ad to offer something better than the thing the video in front of which you place the ad has for the viewer. That way you can actually say something along the lines of “Hey! Before you see this video on (your topic), I have a better solution over here. Come get it as a gift!”. The more precise your script, the better your shot at getting the people who wanted to see that video come see your channel or website. If you’ve ever run a Facebook ads campaign, you’ll manage to target your YouTube ads in minutes. YouTube also allows you to target people based on gender, age, zip code, radius, language, country. You also have access to what YouTube calls affinity audiences (people that are probably interested in what you’re selling). You can even target in-market audiences (individuals who are actively seeking what you’re selling). You can also target custom audiences. The platform provides excellent ways to reach your core target, and to see what placements work best so you could extract data from those and fine tune your campaigns. You’ll also need to keep in mind that different countries have different buying habits, so you’ll need to run tests for each new country you want to target. Brandee gives the example of American vs. British vs. Australian consumers. In the UK, people will buy your front-end product, but they won’t buy the whole funnel. Australians will buy the entire funnel. Americans are constantly on a shopping frenzy – upgrading, buying add-ons, etc. For successful campaigns, you’ll need to know the platform but also, and most importantly, know your audience – who they are, what they care about, how they talk. Brandee would even go through her ad placements and read the comment sections so she could find exact phrases people use to refer to products and the issues they want to solve. PowerPoint slides and voiceovers convert well – this is something that most video marketers agree on. Although she thinks you don’t have to be in front of a camera, Brandee feels that doing so will make fewer people skip the ads. Because big brands used their big budgets to flood YouTube with irrelevant ads, users now are looking for the skip button as soon as an ad starts. When they encounter another human being instead of a big-budget production selling them cheese snacks, they’re more open to waiting to see what the ad is about. You only have the first 5 seconds to grab their attention, and if your ad looks too commercial, like a TV ad, you might lose them. Some accents convert better than others. American accents convert the worst while the British ones the best, but if you’re targeting Australians using a video with American accents your results will be good, because Australians like them. The lesson here is that you should also test your voiceovers if you plan on using them, to make sure you pick the one that will convert best. 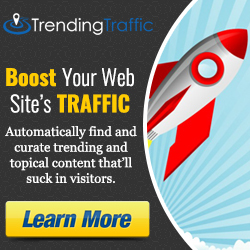 You have to understand that this is a hard to convert type of traffic. So, every single thing you do has to create rapport. You need congruency between the ad and the landing page or wherever you’re sending people. Make sure your ads match what people are finding on the landing page up to fonts, colors, headlines, etc. On the landing page, to have a better chance of getting the visitors in your funnel, you need to constantly tell them what is going to happen next, what it is that they need to do next. That way you’re building rapport, you get them starting to trust you. Even if you don’t use a video sales letter on your landing page, at least have the copy that will guide the visitors on what is going to happen next (e.g. “after you’ll enter your email here, you’ll receive this in an email”). Make sure you don’t use negative triggers in your landing page copy. “We don’t spam” is making people think about being spammed. You can just say something like “We value your privacy”. Remember marketing isn’t about you, but about them – the customers. Nobody care who you are, all they care about is how you’re going to solve their problem. You have 5 seconds to get their attention, don’t waste them talking about yourself – they don’t care about that. Don’t let incongruent calls to action sneak up on you. Nasty annotations, an inconsistent look and feel across ads make people reluctant to click. Even if they’re ads, they still need to be optimized. It doesn’t take long to include the call to action in the video description, include your keywords as tags, do all the little things you’d do for a standard video. Make sure you have a lead capture component in place. You don’t want to pay for advertising just to get people to watch your videos, you need to capture them and add them to your funnel. Besides from avoiding these mistakes, you should also make sure you’ve created your channel and added a few first quality videos before running the first as. It appears that YouTube cares about how well your channel looks and how complete your info is, when deciding how often it’s going to show your ads to people. You also need to have a Google compliant site. Just as in the case of search, Google wants to offer quality content and a great user experience to all people using its websites and platforms. Brandee thinks it’s smart to upload some content and see what happens to it organically. You can assume what your audience wants to see, but you can’t be 100% sure, so by seeing how they react to your content, you can discover that one of your videos would make a great ad. You should also know what a lead is worth to you so you could evaluate the success of an ads campaign. All you’ll have to do to get some free advertising credit for YouTube ads is to google “YouTube advertising”. Google will start retargeting you with ads offering free coupons for $75, $100 USD that you can use to test YouTube ads. Research isn’t necessarily fun, but it can save you money by showing you how other ads in your niche look like, what placements they use, how people react to them. See what mistakes others are making so you wouldn’t have to repeat them to get a valuable lesson from them. Don’t throw money at something hoping something will stick, but think of a strategy based on what you have found out about your niche and other ads.†Go to YouTube and search for videos relevant for your niche, let the autosuggestions based on what other people have searched for play, and check to see if any of those video allow ads.